LALIVE associate Baptiste Rigaudeau has been appointed Ambassador of the International Chamber of Commerce (ICC) Commission on the Belt and Road Initiative. The Belt and Road initiative, formally launched in 2013, describes China’s objective to develop two major trade routes connecting Europe, Africa and the Asia-Pacific: the Silk Road Economic Belt (the Belt) and the 21st Century Maritime Silk Road (the Road), a maritime trade route running through South East Asia, Oceania and North Africa. The ICC Belt and Road commission was created in February 2018 to drive the development of the ICC’s existing procedures and infrastructure to support Belt and Road stakeholders in the resolution of their disputes. 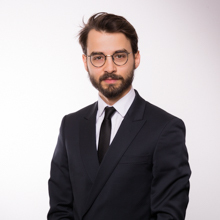 As one of the representatives for continental Europe, Baptiste will be part of a team composed of lawyers and corporate professionals from all over the world. His role will consist in liaising with Belt and Road stakeholders, to promote the ICC’s dispute resolution services in anticipation of the Belt and Road disputes, and report to the ICC Commission on relevant developments in Continental Europe. For further information, please see the Commission’s website here.